Her humanitarian work through the Kay Morris Foundation based in Canada and Ghana has resulted in her being enstooled as Her Royal Highness Queen Nana Oye Sika I of The Royal House of Berekuso Aquapem, Ghana, West Africa. This happened after she brokered $1.5 million in anti-retroviral medicine for people living with HIV/AIDS in Sub-Saharan Africa. Morris was born in Westmoreland, Jamaica and grew up in Montego Bay. Her parents were Pentecostal ministers so from an early age she was exposed to two important influences that have guided her life — spiritual faith and the message of music. She began singing at the age of four and has worked tremendously to explore and celebrate her musical and spiritual roots from Canada, Africa, and Jamaica. An ordained minister and an assistant pastor at Light and Life Ministries, she was conferred with an honorary Doctor of Divinity degree from Canadian Bible College & Seminary and the School of Bible Theology Seminary & University San Jacinto, California in 2013. The popular evangelist is also an accomplished singer/song writer, fashion designer, mentor and motivational speaker. 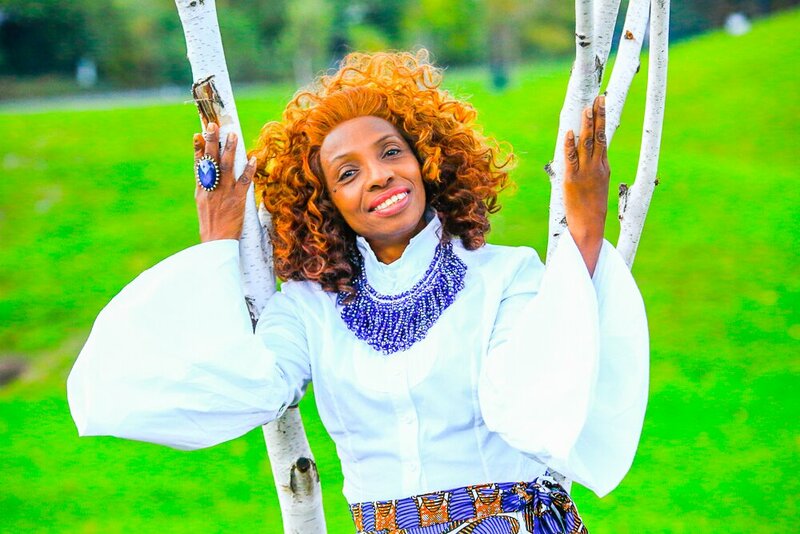 Her versatility as an internationally acclaimed reggae gospel artiste has earned her the distinction of being the international liaison for the Atlanta-based Prayze Factor People’s Choice Awards, representing independent gospel artists from the Caribbean, Africa, Europe, North America, and other parts of the world. In June 2016, Morris was invited to Washington DC as one of the artists to perform at the White House at an event organized by the Afro-Caribbean Gospel Music Explosion in celebration of Caribbean Heritage Month in the United States. While there, she also attended a special White House reception where she made an appearance as Queen Nana Sika I alongside spiritual leaders, Nigeria’s Yoruba king, ambassadors, and congressional leaders. The singer and evangelist represented the Kay Morris Foundation and participated in official legislative events at the US Department of State Office of Religious and Global Affairs. She also attended a briefing with President Barack Obama’s administration at the White House.